Illustrations: 92 Color Illustrations. 19 B&W Illustrations. On the occasion of the centenary of the opening of Statens Museum for Kunst, it was natural to focus on 100 masterpieces from their collection. Selected from among 8000 paintings and sculptures and 300,000 graphic sheets, the works of this publication are presented chronologically according to the year of their origin - irrespective of nationality, artist and technique. Some artists included are Christen Købke, Wilhelm Bendz, Constantin Hansen, Paul Cezanne, Edvard Munch, Anna Ancher, August Strindberg, Henri Matisse, et. al. 1880-TAL I NORDISKT MÅLERI (Nordic Painting of the 1880s). Illustrations: 39 Color Illustrations. 101 B&W Illustrations. The period from 1880 to 1910 appears as one of the most outstanding periods in Scandinavian painting as the art in each of the four Nordic countries- Denmark, Finland, Norway, and Sweden- simultaneously attained a power, a coherence, and an originality never reached before. During this period, collaboration between Scandinavian artists increased dramatically, and they often maintained these ties during their frequent sojourns in Paris, Brittany, and Normandy. Rather than attempting to do justice to the many strong individualities present, this exhibition stresses the interconnections and common themes within their work. Thus it captures the characteristic play of light and air that recurs throughout the artists’ depictions of reality. Essentially, this book presents the young Nordic avant-garde of the 1880s, including artists such as Munch, Zorn, Schjerfbeck, Ancher, Larsson, Krøyer, and Liljefors, to name a few, who broke new ground in their own countries’ national art, but also remained consistently aware of trends and movement abroad. Illustrations: some Color Illustrations. few B&W Illustrations. Illustrations: 87 Color Illustrations. 13 B&W Illustrations. Wilhelm Hansen’s outstanding collection of French art was created during and after World War I, and was bequeathed to the Danish state in 1952. The collection is one of the finest of its kind in all of northern Europe, and its quality is acknowledged all over the world. With this in mind, a series of exhibitions has been arranged in the course of 2002 at three of the most important American museums. The present publication is the catalogue that was drawn up for the American exhibition and is the first stage towards the publication of a proper catalogue raisonné - that is, a complete research-based publication of the French collection. Includes paintings by Ingres, Corot, Delacroix Courbet, Pisarro, Manet, Degas, Cezanne, Sisley, Monet, Morisot, Renoir, Gauguin, Matisse, Købke, Skovgaard, Lundbye, Hammershøi et al. Illustrations: 7 Color Illustrations. 89 B&W Illustrations. 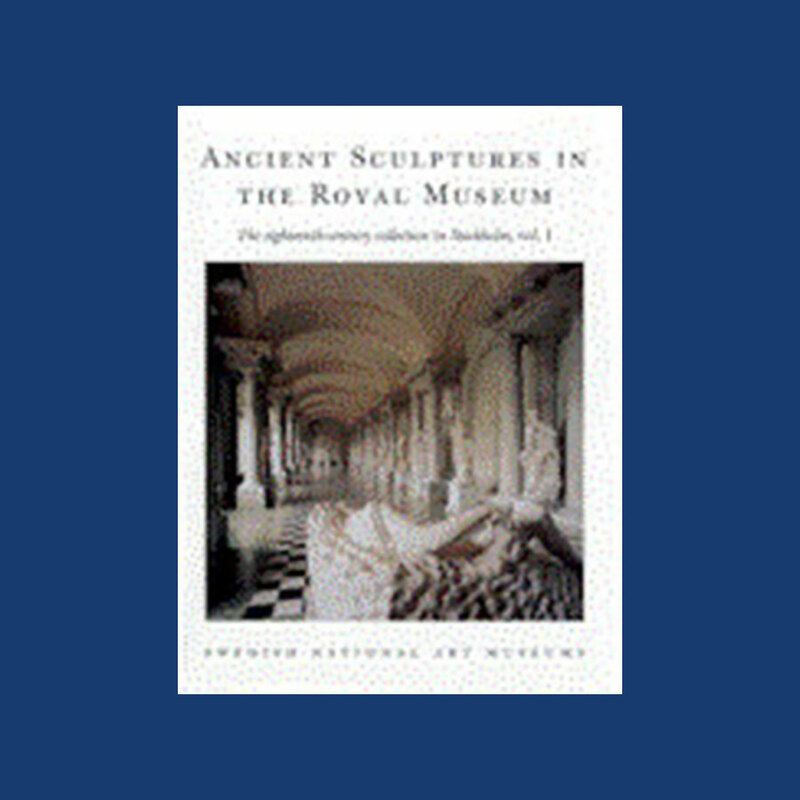 This is a beautifully illustrated study of the collection of ancient sculptures in the Royal Museum in Stockholm and the Swedish Institute in Rome, both were closely connected to the life of King Gustav III of Sweden. Not only does this book make the collection and related documents accessible, but it also provides you with the tools and the background to acquire a better understanding of them. Contains a very complete concordance and index of the museum, the Royal museum and a general index - a highly intellectual and very comprehensive study.